Effects: Energy, calming and euphoric. Dosage: 4 to 7 grams (depending on the effect that is sought). Effects last between 5 to 6 hours. Our green vein Sumatra is harvested on the island of Kalimantan in kapuas hulu. Effects can be described as energic, soothing and mildly euphoric. Green Sumatra is a strain that can be used in the morning or at noon. It is a good strain to use for work or before you go to the gym. 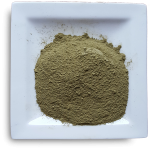 At higher doses Green vein Sumatra can give an analgesic effect. The green vein Sumatra has a very nice dark green hue and it is not bitter like some kratoms, the taste is soft and it’s quite easy to drink for instance with some chocolate milk or yoghurt drink. Our Green Sumatra comes from Kapuas Hulu (Kabupaten). 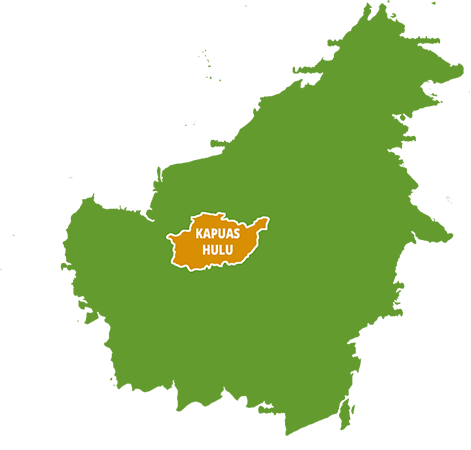 Kapuas Hulu is situated in West Kalimantan. Here you still find a lot of primary rainforest and lots of old-growth kratom trees. 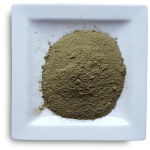 Green Vein is a kratom that could be used for activities, but it can also be used to battle anxiety or mild depression. First time trying this strain! 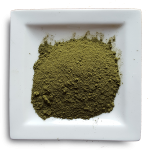 Second time ordering from this site, and kratom is realy very fresh and potent! Im very happy and satisfied with products. Also i like to see im not the only one that loves and enjoys very much to take kratom with morning coffe, it feels great to relax sit and observe. I would highly recoment this plant herb to anyone to enhace life overall. More people should know about this, kratom. I hope it stays legal! Supporting this site, and the shipping is relatively fast. It only took 3 working days i think. Worth a try! Greens are overall good strains for anything! Ganz miese Charge. Absolut kein Vergleich zu dem Sumatra Green vom Sommer. Sieht anders aus, riecht anders und schmeckt sehr merkwürdig, irgendwie nach Bananenschalen… Habe zwei mal meine übliche Dosis genommen und beide Male Kopfschmerzen bekommen, sonst nichts. Ich kann dieses Sumatra Green gerade überhaupt nicht empfehlen. Der Versand war wie immer schön schnell. Does what it says, makes your body feel comfortable yet gives enough energy to be active if you make yourself to. Great for making cleaning the house etc more pleasurable 🙂 Took 2 grams on empty stomach as a first timer. Eine meiner drei Lieblingssorten. Man kann aktiv sein, muss es aber nicht. Sogar chillen funktioniert, falls man es drauf anlegt. Meine Dosis liegt bei 3-4 Gramm. Weniger ist hier mehr. A fab green! very long lasting. Don´t take as sleep aid! Great for making work day more bearable or out doon toon! This is one of my favourite kratoms, very strong and uplifting. 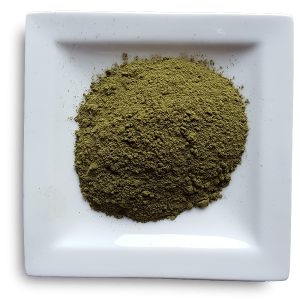 This kratom is good for any sort of activity and will give you a clear experience. very finely milled, smooth & first taste told me this was special. Very energizing, but unlike some white vein (e.g. Elephant) no anxiety just smooth and clear relaxed focused thoughts.